EBay has sold its 28.4 per cent ownership stake in Craigslist as part of an agreement between the companies announced Friday . 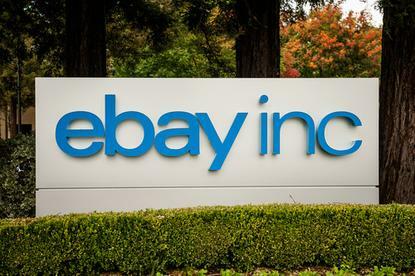 The financial terms of the deal were not disclosed, but eBay said the companies have also agreed to end the outstanding litigation between them. The online auction house paid $US32 million in 2004 for the stake in Craigslist, which turned the classified ad market on its head. Since then, the relationship between the two firms could best be described as contentious. In 2008, eBay sued Craigslist alleging it had diluted eBay's stake in the business and taken eBay's board seat away. Craigslist fired back that eBay had used its position on the board to gain an unfair competitive advantage. Craigslist CEO, Jim Buckmaster, didn't have much to say about the news. The sole commentary he offered in a post on Craigslist's blog entitled "Exit, Stage Left" was a quote from William Shakespeare's "All's Well that Ends Well." The quote begins: "Love all, trust a few." All of this comes ahead of eBay's planned split from PayPal, the payment processing company it purchased in 2002. Last year, the auction company announced that it would be spinning PayPal off again into an independent company, and expected the transaction to close during the second half of this year.